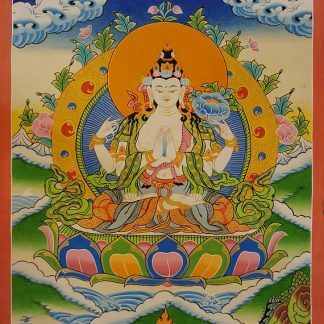 Mahankala thangka painting partly painted with 24 k gold, water and stone color. 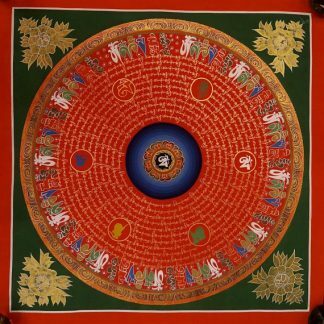 Two Arms Mahankal is drawn following the Shakya Lineage. This Mahankala is also called Safu Mahankala as he holds traditional holy book in his hands. 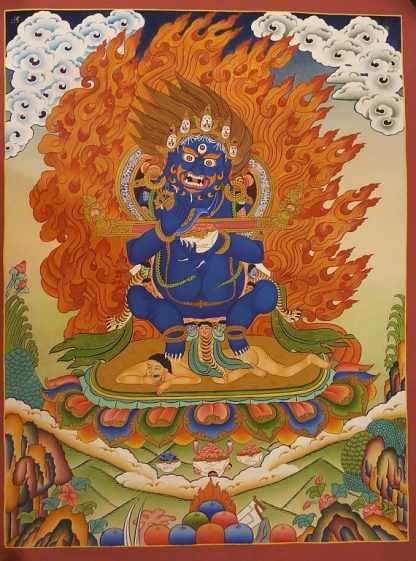 The main deity is painted in blue color. Mahankala falls into the category of wrathful deities. It is the protector. So you will find Mahankala deities in the entrance of Monasteries and Buddhist temples. 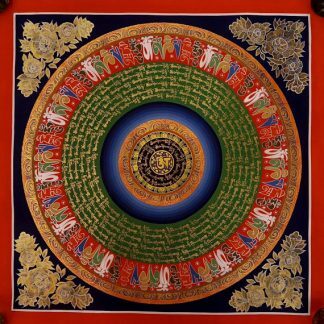 Followers believe it will protect us from negative energy. 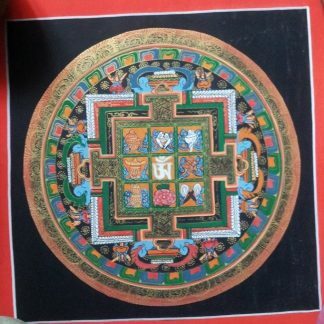 The thangka of Mahankala is painted following the Shakya lineage in Buddhist pantheon. Mahankala is decorated with ornaments, snakes, skulls. He has exposed canine teeth, protruding belly. He is dressed in tiger skin. 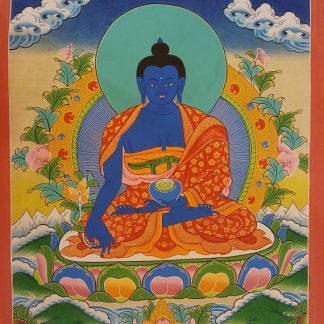 He is dark blue in colour. 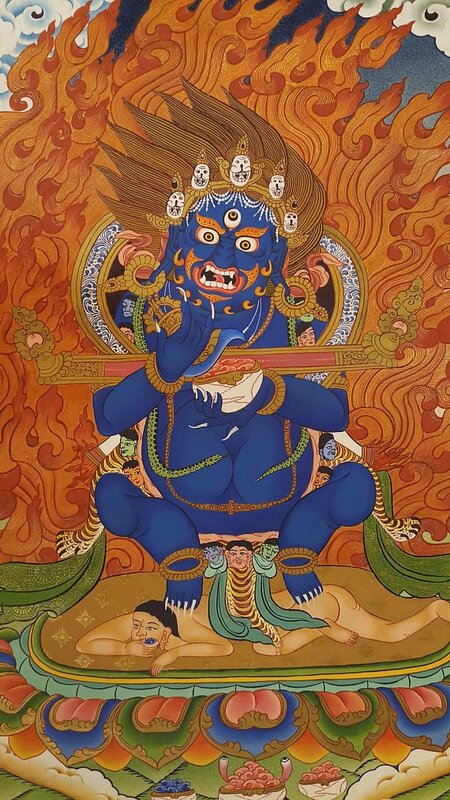 He carries trisula and kapala in his two hands. 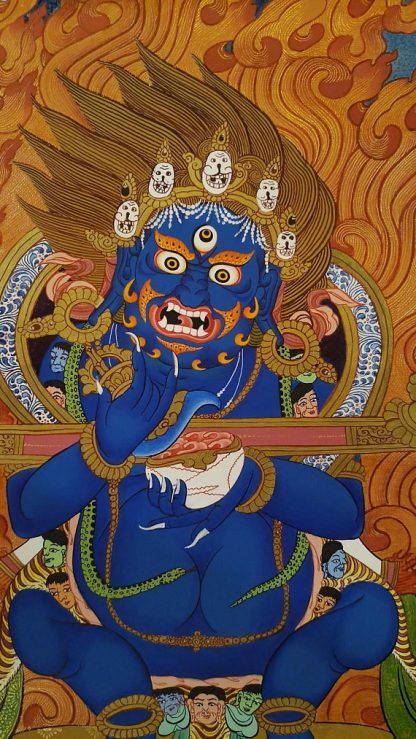 He may have one face with two, four or six arms.Some forms can even have eight faces with sixteen arms. As he is the defender of law, he is given a good position at the entrance doors of Buddhist Shrines. 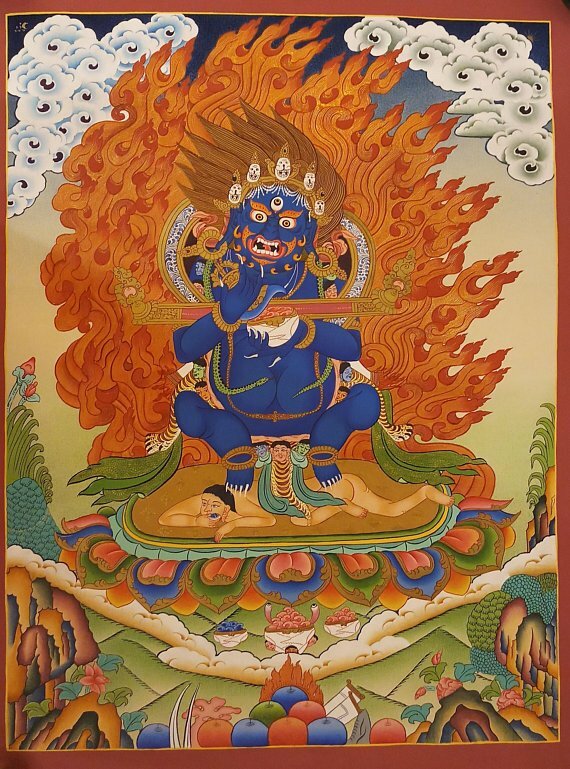 The deity has fire backdrop and He steps on a figure that represents mara or negative energy. 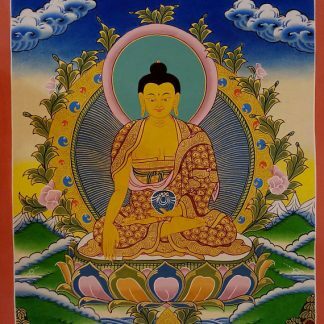 Technical Description of Mahankala Thangka Painting is as follows. 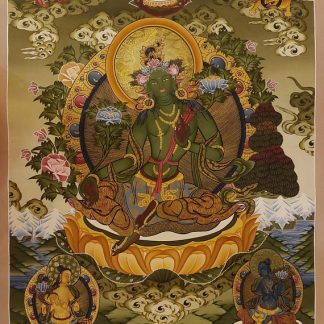 Green Tara Thangka Painting for Buddhist Altar and Shrines Medicine Buddha Thangka Painting - Perfect for Buddhist Altar and Zen Home.